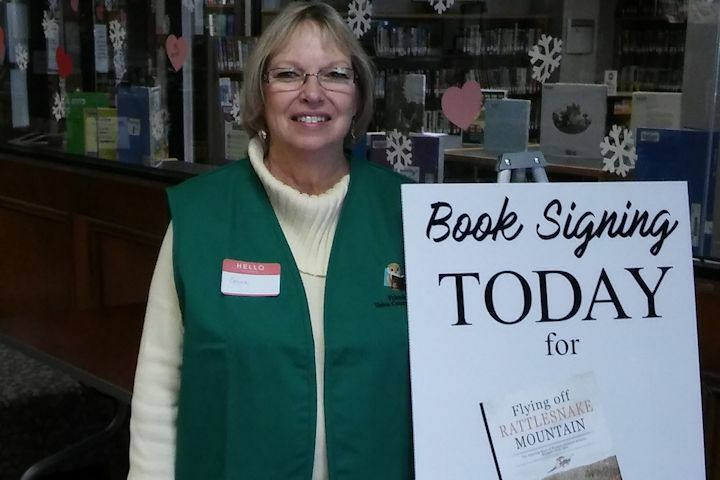 Friends of Union County Library sometimes assist local authors at their library book signings. 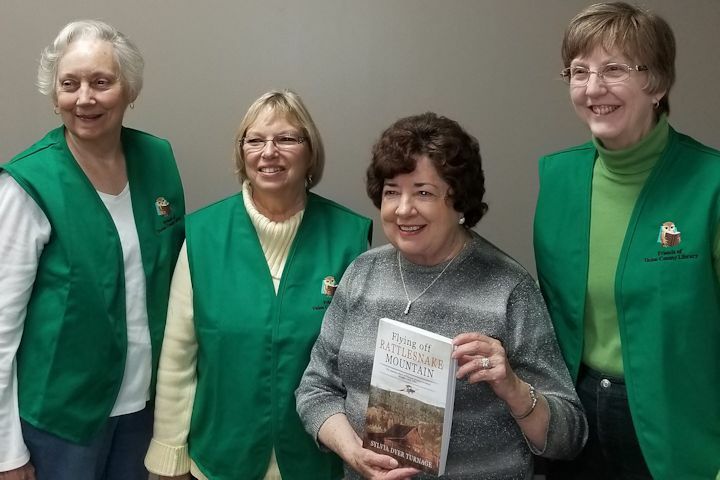 FOUCL members assisting Past President Sylvia Dyer Turnage at her book signing on February 8, 2018 – left to right: Jayne Sentell, Newsletter Editor Connie Rosenberry, and VP Jackie Volk. 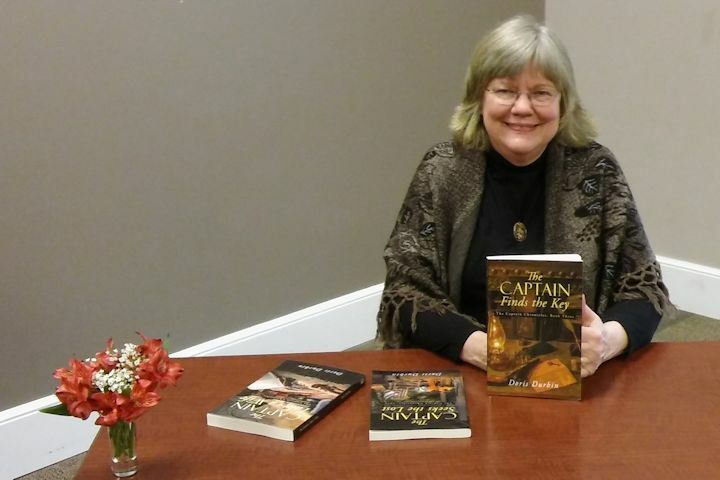 Jayne Sentell assisting at Sylvia Turnage’s book signing on February 2018. 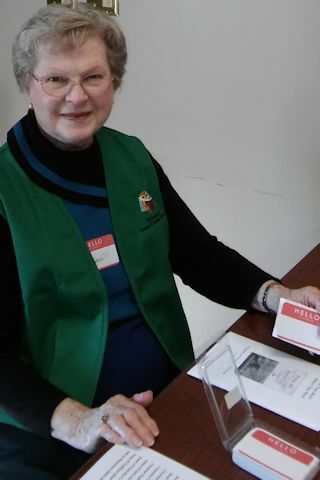 Sarah Partain assisting at Sylvia Turnage’s book signing on February 2018. 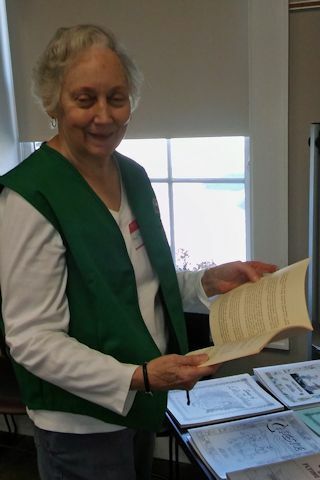 Connie Rosenberry assisting at Sylvia Turnage’s book signing on February 2018. 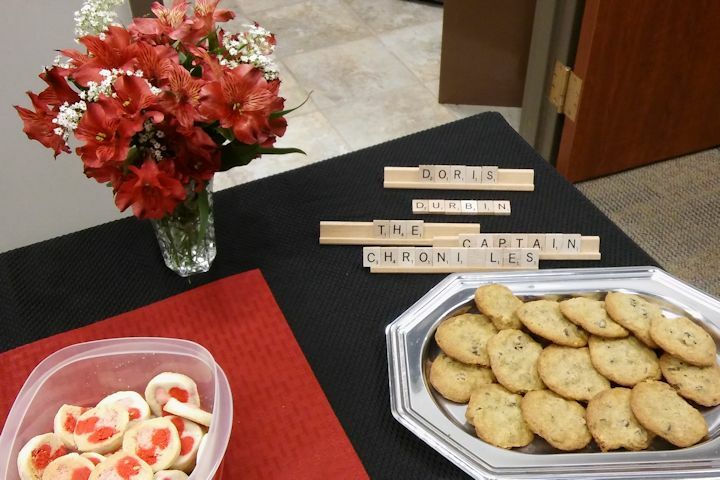 Doris Durbin book signing held February 12, 2019 for her third and final book in The Captain Chronicles Trilogy – The Captain Finds the Key. Centerpiece and refreshments at the Durbin book signing in February of 2019. 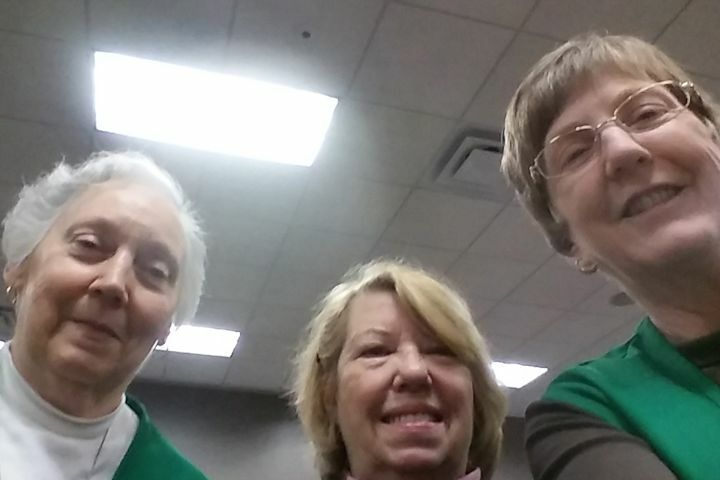 FOUCL members assisting at the Durbin book signing in February of 2019 – from left to right: Jayne Sentell, Joan Dorogi, and Jackie Volk.